Consumers worldwide are demanding sustainably produced food and are keen to know how the food that lands on their meal table is produced. They expect farmers to be part of the climate change movement and leading the march on sustainability onfarm. With that in mind Fonterra this month announced an initiative that focuses on sustainability at all levels and prioritises the value of milk, rather than the volume, into the future. Its programme The Cooperative Difference focusses on five key areas: environment, animals, milk, people and communities, and our co-operative and prosperity. The firm intention is to make clearer to farmers what their co-op expects of them today and in the future, and to duly recognise the many farmers who conscientiously produce high quality milk in a more sustainable way. Those who produce will be rewarded, but those who persist with continuously poor milk grades will face the consequences. The co-op is also assuring farmers there will be no nasty surprises. The Cooperative Difference will enable farmers to better understand the changing expectations of global markets, customers, consumers, communities and regulators so they can plan and prepare for what they must do. Fonterra says new sustainability regulations won’t be dumped on farmers overnight, and it acknowledges that change cannot happen overnight; it plans to provide farmers with more advance notice of new requirements and changing expectations. Meanwhile, Beef + Lamb NZ has also moved in the same direction. 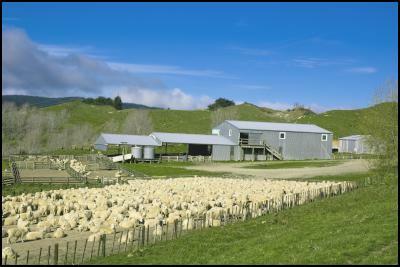 Last year, it launched its environmental sector strategy and a biodiversity report showing that sheep and beef farmers have 24% of NZ’s native vegetation on their farms. These were not developed just for the fun of it, but as BLNZ chief executive Sam McIvor told the organisation’s annual meeting, “the social licence to farm is a real issue”. Just as the public attitude to water quality has changed in recent years, so too will the public stance on climate change. Farmers, their industry bodies and companies selling their products need to understand this and ‘get ahead of the game’. While farmers may not get any extra financial incentives in the form of better prices, they need to understand that this is the cost they have to bear to continue to farm and have their products bought by customers. It also underscores that sustainability concerns are more than the environment: they extend into the detail of looking after people, caring for animals, adapting to changing customer and consumer expectations, and respecting the communities and land where farmers operate. The reality is that while farmers risk having to pay higher compliance costs and face pressures in their quest to farm sustainably, these moves are a huge step in the right direction. THE LATEST report from the Parliamentary Commissioner for the Environment Simon Upton makes interesting reading for the agricultural sector and its constant critics. Upton’s report marks a departure from widespread calls to drag agriculture into an expanded ‘all gases, all sectors’ version of the current Emissions Trading Scheme (ETS). Instead, he has proposed separate trading systems for fossil and biological emissions to help tackle climate change. This so-called ‘landscape approach’ would deal with agricultural greenhouse gases and forest sinks together – and separately from CO2. Upton’s new report suggests that forestry carbon sinks should only be used for offsetting biological emissions like methane. Carbon emissions from, for instance, fossil fuels should be brought to zero by other means. The agricultural sector has been calling for just such a change in policy makers’ views on methane and other carbon emissions. This has been backed, in the past 18 months or so, by numerous scientists supporting the setting of a separate methane target in the Zero Carbon Bill, to reduce and stabilise methane, while carbon dioxide and nitrous oxide reduce to net zero. This is aligned with work by the Productivity Commission, research by Dr Andy Reisinger of the New Zealand Greenhouse Gas Research Centre, and most recently by Professor Myles Allan, of Oxford University, a member of the Intergovernmental Panel on Climate Change (IPCC). Farming organisations are calling on the Government to take note of these new findings – which align with the latest and emerging science. As Beef + Lamb NZ chairman Andrew Morrison says, it is now essential that ministers considering the shape of the Zero Carbon Bill, and that members of the Interim Climate Change Committee and the future Climate Change Commission, take the parliamentary commissioner’s findings into account when setting policy. “This work adds to the growing evidence base developed over the past few years about how methane — a biological emission from animals — differs from carbon dioxide in its impact on global warming,” adds DairyNZ chief executive Tim Mackle. Professor Dave Frame, the director of Victoria University’s Climate Change Research Institute, said Upton’s report is “thoughtful and constructive” and acknowledges the cumulative differences between gases. Critics claim this alternative approach would be ‘letting farmers off the hook’. Although these same critics have always argued about the ‘science of climate change’, they seem to conveniently forget this when the science does not back their narrative. As BLNZ says, the PCE report shows a clear way forward for NZ on climate change and recommends a science-based approach, which fits with the principle of each sector being responsible for its own emissions — and for tackling them. Ministers, policy makers and farming critics must take note: it is difficult to argue against the science. THE COALITION Government resembles a headless chicken in its handling – or more correctly mishandling – of the recommendations of Sir Michael Cullen’s Tax Working Group (TWG). Its line “we are ruling nothing in or nothing out” of the TWG’s recommendations is causing undue and unnecessary angst in agriculture and wider business circles. The proposals have rightly caused great concern, unease and confusion in the farming sector. The TWG’s recommendations that would impact specifically on the rural sector – note that three of its members did not agree with these – include introducing a capital gains tax (CGT) on the sale of farms, an animal emissions tax, water tax, fertiliser tax and consideration of an environmental footprint tax and a natural capital tax. National’s agriculture spokesman Nathan Guy claims that “with all these taxes combined a typical dairy farm could be paying up to $68,000 annually in new taxes if irrigated, or $25,000 without irrigation. 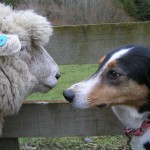 And and average sheep and beef farm could be taxed $20,000 per year”. These are scary numbers. But we can’t verify Guy’s claims because the Government’s response has been thus far zilch, zero, zippo! Except for the aforementioned: “we are ruling nothing in or nothing out” line. The Government’s handling of the TWG recommendations has been inept, irresponsible and irrational, and ridiculous considering it had the report for three week before it was made public. The coalition partners could at least have agreed on what to rule out from the publicly announced TWG recommendations, rather than keep us waiting until “sometime in April” before making their final decision. We know the Greens have always wanted more taxes including a CGT so no surprises there. But where is NZ First? The so-called provincial champions have been missing in action. Winston Peters, by refusing to comment, is biding his time, trying to milk all possible political capital and publicity out of the uncertainty. The NZ First list MP Mark Patterson continues his truly unremarkable track record – since entering Parliament on Peters’ coat tails in 2017 – of being totally invisible on the subject. And the self-proclaimed ‘first citizen’ of the regions, Shane Jones, is too busy preening himself and scanning his thesaurus for more unintelligible, smarmy prose instead of allaying concern over the TWG recommendations. Labour’s TWG omnishamabolic response has prompted the PM to claim that her after-school job at a fish and chip shop has educated her in running a small business, the Finance Minister has been deliberately non-committal and the Agriculture Minister has voiced his support for CGT on farms – just as he favoured a water tax before the election. What a mess. The Government’s answer is to roll out yesterday’s man Sir Michael Cullen – at $1000 per day care of the taxpayer – for another four months to front its CGT campaign. If Cullen, the man who once proudly told Parliament he enjoyed ripping off farmers, is the Government’s solution to all this, it must be a truly stupid problem. It is time now – not sometime in April— for the coalition Government to act like a government and tell us which of the TWG’s proposals it is considering and which it is not so we can have a reasoned, informed and serious debate on the pros and cons of each. 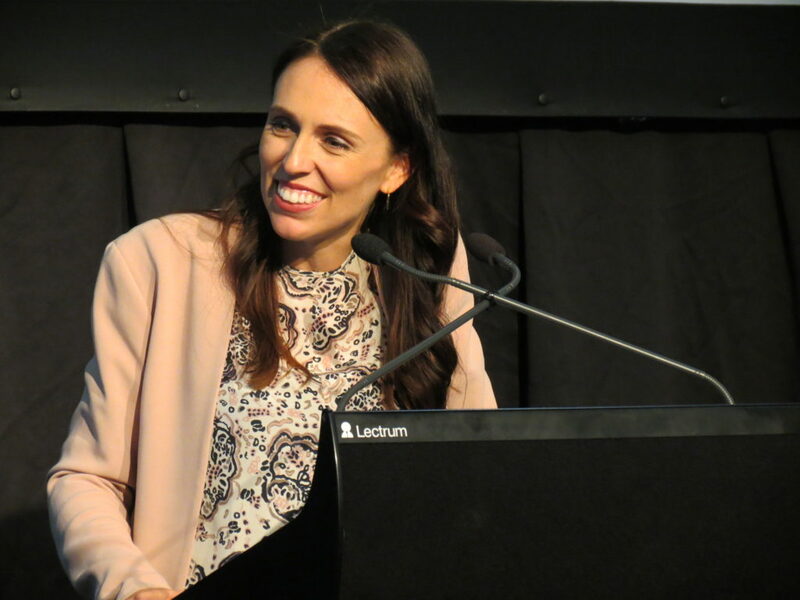 PRIME MINISTER Jacinda Ardern’s claim, made after her much-hyped European visit earlier this year, that a completed free trade agreement (FTA) with the European Union (EU) by the end of this year was on the cards, is proving to be as hollow as most political promises. Any proper analysis of the PM’s assertion at the time would have shown that her enthusiasm for such a deal was always more rhetoric than reality. It is clear that agriculture remains a sensitive issue and the recent visit to New Zealand by European Commissioner for Agriculture and Rural Development Phil Hogan has only highlighted this fact. 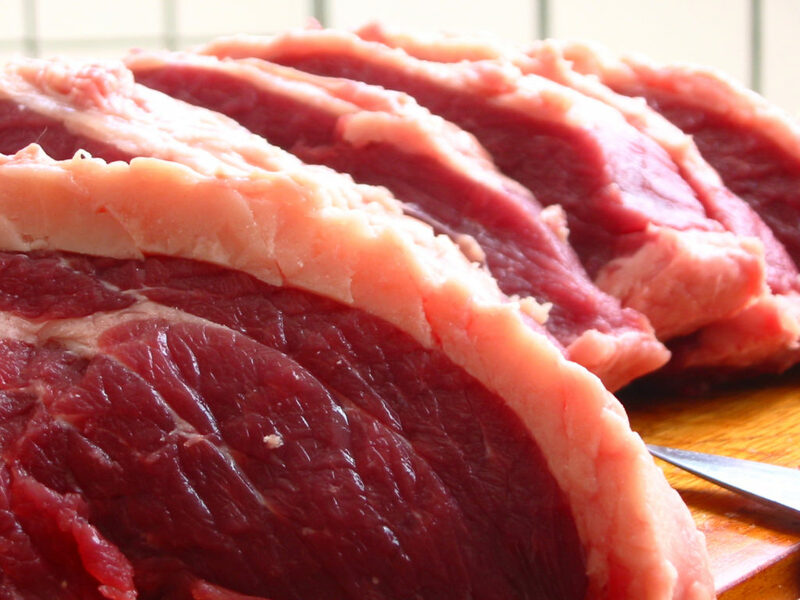 For one, the Brexit melee has identified a major issue over tariff rate quotas (TRQs) for our sheepmeat, beef and dairy products sent to the EU. NZ has strongly rejected the EU and UK government’s proposal that upon Brexit the TRQs be split in half. As trade expert Stephen Jacobi points out, this poses huge difficulties for NZ exporters who manage, according to market trends and consumption patterns, flows of their products to the EU and to Britain. This rejection is because NZ exporters will lose flexibility from the proposed splitting of the TRQs even though their right to export within the quota limits and rules has been guaranteed since 1995. However, both the EU and the UK have ignored NZ’s concerns – and the objections of other trading partners with similar arrangements – and now risk years of trade litigation at the WTO. This is hardly the sign of a trade partner willing to compromise. Another issue underlined by Hogan’s visit is that the EU’s proposed restrictions on the use of geographical names – or geographic indicators (GIs) – on products will also have implications for NZ exports to other regions, including China. As part of negotiations for the FTA the EU wants NZ to abide by strict regulations on the way certain geographical names are used in international trade. This new strict regime would not only apply to products marketed in NZ, but also to our exports to other markets: think of feta cheese, mozzarella, parmesan, even cheddar. NZ’s view is that these names have become generic rather than relating to a certain geographic region. As Jacobi points out, Fonterra now supplies large amounts of mozzarella cheese to China: every second pizza in China is covered with it. That’s a lot of pizza and a lot of cheese. It seems Ardern’s fanciful FTA claim is now hitting reality. If she or anyone believes a comprehensive FTA, including agriculture, with the EU will be completed by the end of this year, then we have a porcine aerodrome we can sell her. 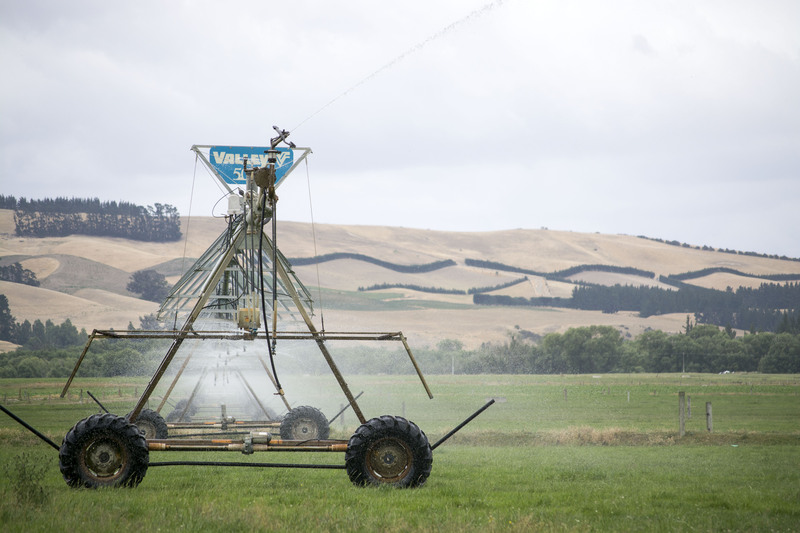 A pivot irrigator running off the Amuri Irrigation Scheme in the Culverden area. THEY SAY when you point a finger at someone in condemnation you have three fingers pointing back at yourself. Fishing and hunting lobby group Fish & Game NZ has spent the best part of the last two decades pointing the finger at the farming sector and blaming it for the degradation of the country’s waterways. There is no doubt that the intensification of farming – particularly dairy with its increased application of nitrogen and phosphorous fertilisers and shonky farming practices — has all led to a decrease in the quality of waterways over the decades. However, it is also true that the agriculture sector in general – and dairy especially – has lifted its game in environmental practices. Nothing is perfect, it never will be. Some 97% of waterways on dairy farms are now fenced off from stock, and farmers have worked thoughtfully and hard to put in riparian margins and wetlands. Many during the last ten years have also spent hefty sums on effluent management systems. Dairy, sheep and beef, arable and horticulture organisations all have spent millions of dollars on science, research and development and technology in an effort to protect and improve the nation’s waterways. New regulations are being implemented NZ-wide restricting land use, fertiliser application, irrigation, winter grazing and a myriad of other practices; all this is intended to improve water quality. “The reality is that all types of land use contribute to water quality. Whether it’s vegetables, fruit, beef, sheep, dairy, deer or even wine, farmers must all work together to make sure waterways are protected,” says DairyNZ’s Dr Tim Mackle. Mackle is right, however it is not just farmers who are responsible for ensuring our water quality, it is all New Zealanders. The above-mentioned new regulations now being implemented by regional councils have come on the advice of collaborative catchment and water zone committees made up of farmers, local government and wider community representatives – many of these being local Fish & Game NZ officers and /or councillors. But Fish & Game continues to take cheap shots at the farming sector. During the recent holiday season the lobby group – twice – released to great public fanfare the results of a poll it ran purporting to have found that the vast majority of New Zealanders want better quality water. Well surprise, surprise; it is a fair bet that if you asked people if they wanted world peace and a cure for cancer at least 80% would have answered in the affirmative. One has to question the huge disconnect between Fish & Game’s head office people who continue to take pot-shots at the farming sector and its people on the ground, many of whom are working with farmers and others in their local communities NZ-wide in a combined effort to improve water quality. It is long past time for the Fish & Game head office wallahs to stop their incessant, negative finger pointing and emulate the collaborative stance of their people in local communities. IN THE last week the words ‘Lest we forget’ have been much used as most of the western world remembers Armistice Day and of course the same applies to ANZAC. The British and Europeans use these words a lot. However, it seems that in terms of trade a more appropriate phrase might be ‘Let us forget ASAP’. This is what is happening at the moment as Beef + Lamb NZ’s chief executive Sam McIvor has so frankly stated. The Brits and the EU, in a freakish display of self-indulgence, self-interest and desperation to cut a Brexit deal, have decided that NZ is dispensible. This means that the legal agreement signed according to WTO rules and in good faith by Britain, the EU and NZ is not worth the paper it is written on and somehow their self-made problems are best solved by doing the dirty on NZ. 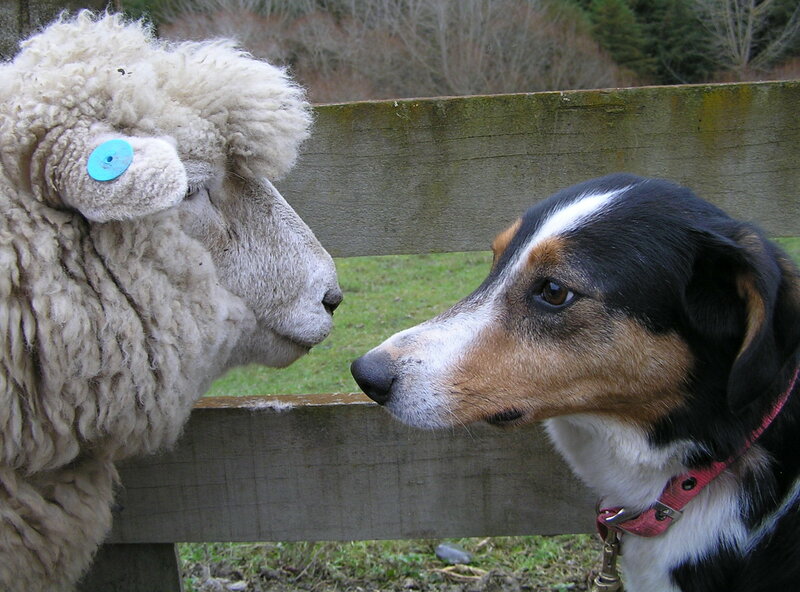 Specifically we are talking about the decision by the EU and UK to rip up the agreement on how the quota of NZ sheepmeat should be distributed between the two entities come Brexit day. The legal agreement says the quota should be flexible and this has worked well to the advantage of all parties and has prevented markets being flooded with product and has allowed for the orderly sale of our lamb and mutton. The EU and UK want a 50/50 split which is nonsense. One wonders what drugs their negotiators are on to come up with such a dumb idea. History, unfortunately, suggests that when it comes to the rights of smaller nations, the EU and the UK have often been missing in action. In 1939, when Poland was invaded, Britain did declare war on Germany, but did nothing tangible to defend the Polish people. NZ accepted the right of Britain to enter the EU and to be fair it made sense. But to welch on a legal agreement with a friend and a member of the Commonwealth is another thing. Many NZers regard Britain as ‘home’; well, right now the shutters are up, the doors are locked and the welcome mat has gone. Great friend, yeah right. WITHOUT DOUBT 2018 will be remembered as Fonterra’s annus horribilis. It is not overstating the case to say that the past year has seen a series of failures and fiascos for the dairy co-op. For the first time, it reported a net loss for the financial year of $196 million. Meanwhile, weaker global dairy prices have forced the co-op to keep lowering its forecast payout from an opening estimate of $7/kgMS in May to an expected $6kgMS by year end (Fonterra was due to update to its forecast after Rural News went to press). On top of this, during the year the dairy company has stumbled from one public disaster to another, notably the under-performance and over-the-top pay to former chief executive Theo Spierings, and the ongoing financial calamity of its investment in Chinese infant formula company Beingmate. This was topped off last month, when only two of the three director positions were filled in the annual director elections, meaning another election needs to be held. Last month’s election saw Leonie Guiney – who was ousted from the Fonterra board in 2017 – as one of the two directors elected, along with former Zespri chair Peter McBride. However, two candidates who were recommended by Fonterra’s ‘independent approval process’ were rejected by farmers. The election process rules meant that the three failed contenders – the two board-approved and the other self-nominated candidates – were ineligible to stand again when Fonterra held a special election. But, for some reason, the Fonterra shareholders’ council has now decided to change its own election rules. The last-minute rule change means it is holding another ballot this month and only the three candidates who failed to get over the line last time can stand. However, incumbent director Ashley Waugh has ruled out standing again and only Jamie Tuuta and John Nicholls remain on the ballot. No one is suggesting that either men are not credible candidates, but Fonterra’s eleventh-hour rule change looks like yet another SNAFU. One can only hope that the upcoming vote for a new director is decisive and clear. Then Fonterra can finally put a difficult and messy 2018 behind it and head into 2019 focussed on getting its house and company performance in order. WHAT’S GOING on at Landcorp? It appears the state-owned farmer has taken a dangerous lurch into the political world with its recent actions. An Official Information Act (OIA) request has revealed that the Government-owned and controlled farmer lodged a late submission to the Tax Working Group (TWG), advocating for taxes on water and nitrogen fertiliser and saying it was “not opposed” to a capital gains tax. This pro-tax stance is directly at odds with the majority view of the farming sector and raises questions about why the state farmer would stick its beak into highly political issues. That a government body should be seen as promoting and advocating for such overt, politically charged tax policies is a big enough concern. However, to also learn that Landcorp lodged its submission to the TWG more than a month after applications closed gives the impression it was encouraged to do so by its political masters. This should be a major concern for all taxpayers that the long-held tenet of an apolitical public service is now being called into question. One also would have to ask if the Minister responsible for Landcorp – Shane Jones – is either asleep at the wheel or complicit in the SOE’s irresponsible and dangerous politicking. The state farmer must not only be seen as apolitical, but also perceived as being apolitical. At present, perception and reality are opposite. And Landcorp’s actions have – unsurprisingly – attracted political fire. Current National Opposition members and former agriculture ministers Nathan Guy and David Carter have heavily criticised its behavior. Carter has accused the state farmer of having been encouraged ‘behind the scenes’ by its political masters to present a pro-tax opinion from the farming sector to the TWG. The TWG submission comes on top of the state farmer’s highly questionable appointment of a number of high-profile environmental activists to advisory roles in its midst. Questions are now also being raised about whether these appointments are just a sop to the green-leaning politicians occupying the Treasury benches. 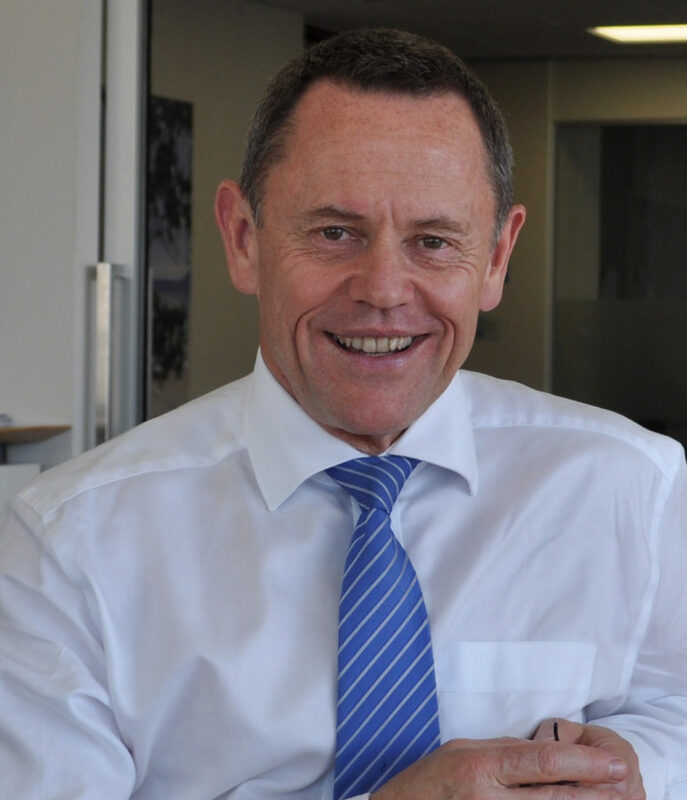 Former AgResearch and Scion (forestry) boss Warren Parker has just been appointed chair of Landcorp. As a former high-level public servant, Dr Parker will be well aware of the sacrosanctity of an apolitical stance needed at Landcorp. He needs to pull the state farmer and its management back into line quick-smart. If he fails to do so, Landcorp will face the wrath of avenging politicians hell-bent on revenge when the government changes, as it will at some time. Fonterra shareholders are starting 2019 with high expectations. Most farmers’ New Year resolution will be to continue producing milk sustainably and efficiently in the hope that global milk prices will firm. However, looming large on their minds will be the state of their cooperative; the bottom line is Fonterra cannot afford to lose money this year after its $196 million loss in 2018 – its first ever. Following the last director elections and the reshuffling of guard at Fonterra helm, shareholders will be feeling hopeful. Fonterra shareholders have little to do with the day-to-day running of the $20 billion business. That envious task is left to the 11-member board; consisting seven farmer-elected and four appointed directors and the chief executive – who is appointed by the board. Frustrated farmers have watched the board fail to contain the disastrous foray into China Farms and Beingmate Food. At home, Fonterra is losing milk supply to rivals and continues to play second fiddle to smaller processors when it comes to the milk payout battle. Thus, farmer shareholders seeking real change in their co-op focussed intently on last year’s board elections. 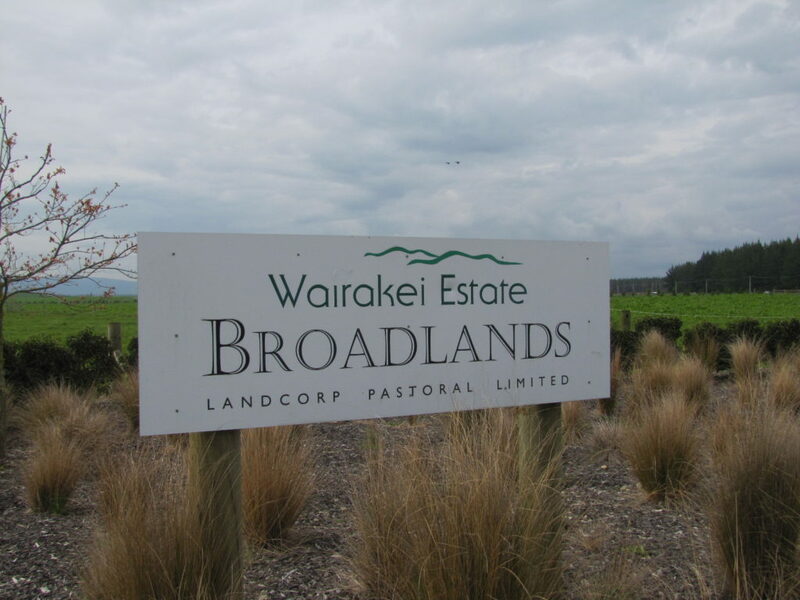 In what could be best described as a slap in the face of the board and Shareholders Council, farmers rejected two of the three nominees for directorship. The first director election saw shareholders back the board and council’s choice, Peter McBride, a respected agribusiness leader. However, they rejected the other two official nominees; sitting director Ashley Waugh and Maori agribusiness leader Jamie Tuuta. Instead farmer shareholders voted in outspoken former director Leonie Guiney. In the second election, Canterbury farmer John Nicholls beat Tuuta for the third seat. Fonterra shareholders have realised that change must start with the board; the old boys club from the early days of Fonterra’s formation needs to go. Current chairman John Monaghan, on the board since 2008, isn’t exactly the breath of fresh air that the co-op needs. Shareholders want a new chair with strong leadership skills, a revitalised and broadened board and a more disciplined and collaborative board culture. A re-look at the director election process will also restore some confidence among shareholders on governance. There are some signs that Fonterra is changing. Confirmation of Miles Hurrell as chief executive would be a step in the right direction. New auditors will be in place at the co-op next year. A review of the co-op’s assets is underway and shareholders can expect Beingmate and other non-performing assets to go. The appointment of Guiney as chair of the board risk and safety committee and member of the audit and finance Committee will also reassure nervous farmer shareholders. Fonterra is not out of the woods, but farmers will be hoping that 2019 won’t be bad as last year. IT’S NO secret that current wool prices are awful, but the outlook for the fibre has been terrible for many years. For some types of wool, more has been put in storage than has sold in the last nine months, mainly due to lack of demand from China. According to reports, current wool exports to China are 40% lower than last year. This highlights the folly of the industry relying on China alone.